Skeleton ESO, web application for accounting and agenda of the groups, is CRDM's project for associations and their units. It is intented to help with administration of groups, clubs, troops etc. It aims to make the administration, as well as accounting of the basic units of NGOs easier (with emphasis on the area of work with children and youth). 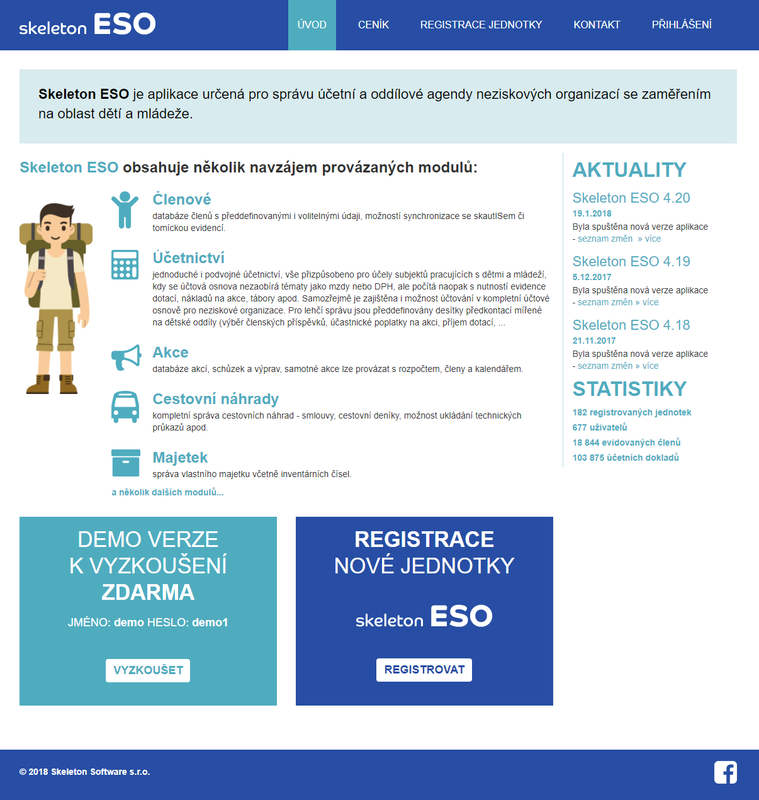 ESO includes mutually interconnected modules like Database of members, Accounting, Events, Reimbursement of travel expenses, Property and some others.